Photo and text by Graham Stinson 2003. Orders are tailored to match your rifle and optics. Call today and tell us exactly what you need. We guarantee that once you have our base in your hands, you will know you have made the right choice. Your scope base and Alphamount should be on display in an art gallery. 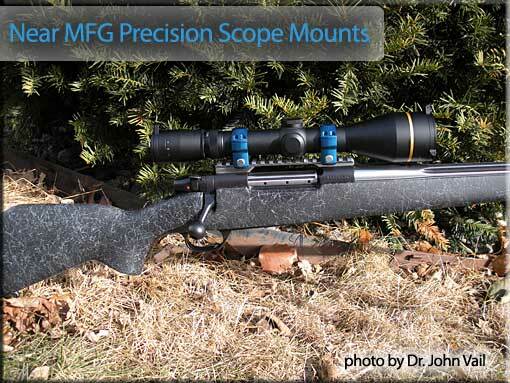 This rifle piles one bullet on top of each other at 200 yards. 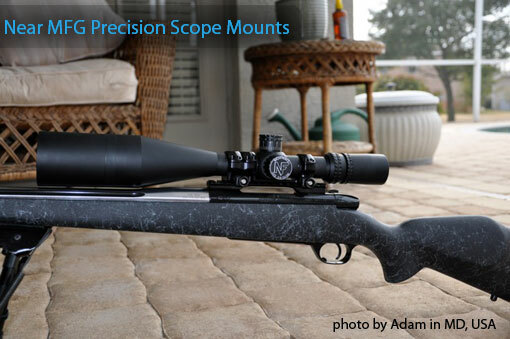 Why purchase a Near Scope Base? Our bases and mounting systems are made from solid 400 series stainless steel that is hardened and stress relieved BEFORE machining. All critical dimensions and clamping surfaces are CNC(computer numeric control) machined to tolerances as close as .0003"(3/10,000 of an inch!) Depending on the application, our bases mount to your rifle with as many as six of 6x48 or 8x40 TORX drive screws. 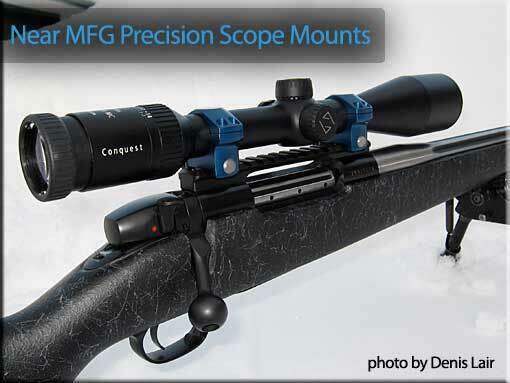 We guarantee total customer satisfaction in the fit, finish and performance of our scope bases. Ian McMurchy writes " When we put our own scope back on the rifle we set the elevation for the 700 yard plate and landed a first round hit with no sighter shots! 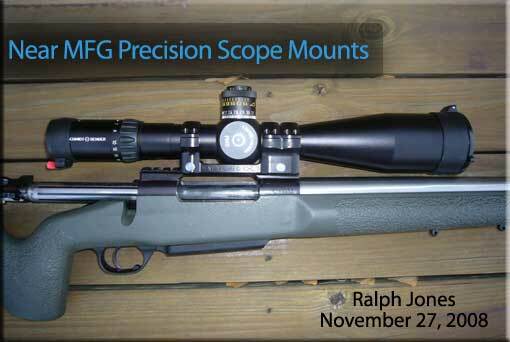 The repeatability, performance and craftsmanship of the Near scope base is the best I have found. 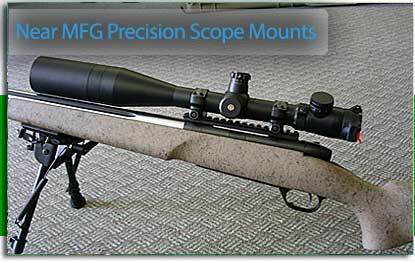 All my rifles are equipped with Near scope bases"
Remove and replace YOUR optics with confidence and no loss of zero. 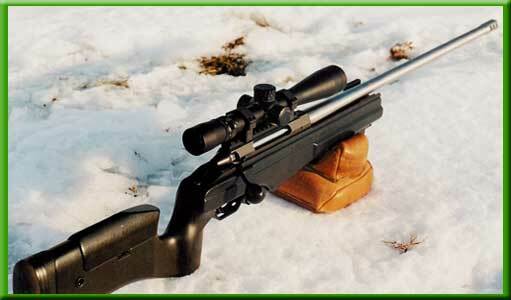 Hunters can enjoy the confidence of a pre-zeroed back up scope. 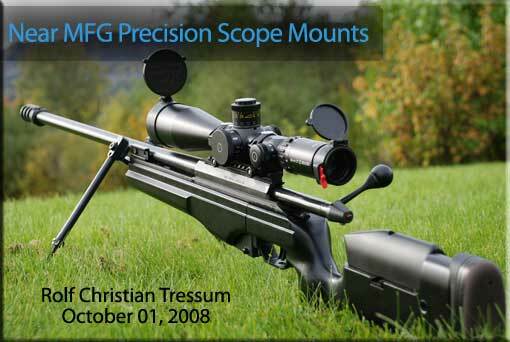 Target shooters can use one premium scope on multiple rifles. Police and military can switch from day to night optics with speed and confidence.